The Ballymore Novices' Hurdle is one of the best novice hurdle races of the season and usually brings together some of the best up and coming horses. The race is ran over the distance of two miles five furlongs, bringing together a who host of horses who usually go on to be either staying chasers, or contenders for the World Hurdle if they stay over hurdles. The race is usually a very good betting market to get involved in, with the only question marks being due to the Albert Bartlett novice hurdle that is over three miles, some horses are entered in both so it is uncertain where they will run. With many exciting names already being mentioned for the race, interest is already high and people are already placing their bets. We could see another top class winner, just like we did last year so not only is this race one to look forward to, it is also one to remember for the future. Many stars of the racing world have started their careers in this race, either by winning or running well in the race, before going on to bigger and better things. Let's check our Ballymore Novices Hurdle tips. With many of the horses in this race not yet seen over hurdles, at this stage it is very difficult to work out what horse can win the Ballymore Novice Hurdle. However, we do have form from national hunt flat races to use, and this can give a good guide to not only how good a horse is, but how likely they are to step up to this two mile five furlong trip. A horse that made a good impression last season was Next Destination and he looks tailor made for this step up in trip. He looked outpaced over two miles last season, but still ran with credit to come fourth in the Champion Bumper at Cheltenham, and has won a point to point race over three miles before joining Willie Mullins. Elsewhere a lot has been said already about Samcro, who is supposedly flying around the hurdles at Gordon Elliott’s yard. He was specifically kept away from the bigger festivals last season, but won three bumpers over two miles and he too has won a three mile point to point race. There are many other horses of interest and if they all show up on the day then we should be in for a very exciting Ballymore Novices Hurdle. Next Destination is a very exciting prospect this season and one that is sure to improve for the step up in trip from the two miles he was running over last season. He won two bumpers before running exceptionally well to finish fourth in the Champion Bumper at the festival last season. He stayed on very nicely up the hill and then went on to finish second at Punchestown over two miles where he again stayed on very well. He hasn’t really hit the headlines as a two miler, but having won a three mile point to point it was obvious that he wouldn’t be suited by that test. The step up in trip this season is sure to bring out a massive amount of improvement from him and that catapults him right to the top of the pack when looking at contenders for Ballymore Hurdle. Willie Mullins will no doubt have a huge string of top class novice hurdle horses, but this one is the one that looks to be a very exciting individual. 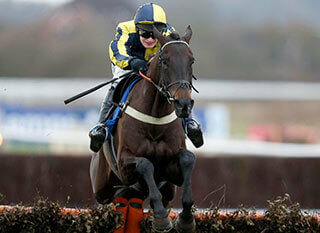 He is one of our favourites in the Ballymore Novices Hurdle winners list. Samcro has a very similar profile to Next Destination, although because he wasn’t tried at the highest class last season, we can’t be as sure about is form. He was specifically kept away from the big meetings by Gordon Elliott to allow him to mature, and he reportedly looks in fantastic shape this season because of that. He won all three national hunt flat races that he ran in last season, and looked well on top towards the finish in every one of them. It would have been nice to see this horse compete against some of the better bumper horses from last season, but because he didn’t adds even more intrigue to his profile. His three mile point to point win suggests that this distance is going to be ideal for him and he is one to look out for throughout the whole season, not just at Cheltenham. The Irish do well in this race and in particular Willie Mullins, we have seen some of his best horses win this race before going on and making a huge name for themselves. Mullins is the only person who has multiple winners of this event over the past 10 years, so it usually pays to see which horse is his top novice heading for this race. 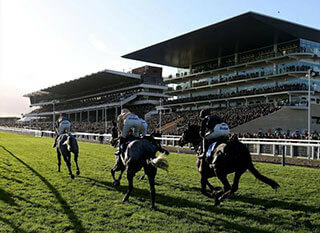 The Ballymore Novice Hurdle is a tough test for young horses and it is imperative that you find a horse that can stay the distance of two miles five furlongs up the Cheltenham Hill. However, it is also a very important race at the festival, because a lot of horses go on from this race and become exceptionally talented horses, usually in the long distance staying chase category. The Ballymore Novices Hurdle Cheltenham is for novice hurdlers only, and the age limit on the race is four years old and up. This makes the race the starting platform for many young horses, and this distance at a young age can be tough on some of those taking part. 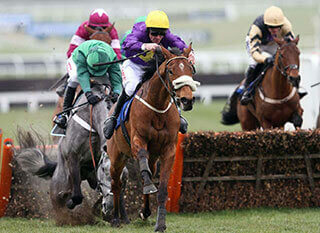 This is always a race to savour at the Cheltenham Festival due to the nature of it and the type of horses it attracts. The conditions for the race are perfect right now and while they remain the same we will have a very competitive race, with many quality horses taking part.